Teaching and learning today are vastly different than they were 20 years ago. Advances in brain science are uncovering evidence about how students learn and what makes knowledge stick. Technology has also transformed the classroom with tools that can significantly improve student engagement and learning. This campaign objective will secure funding for technology-enhanced classrooms and collaborative spaces. It will help faculty transform their teaching and their courses through investments in the Student Consultants of Teaching Program, Course Enhancement Grants for Faculty Innovation, and Course Design Institutes. 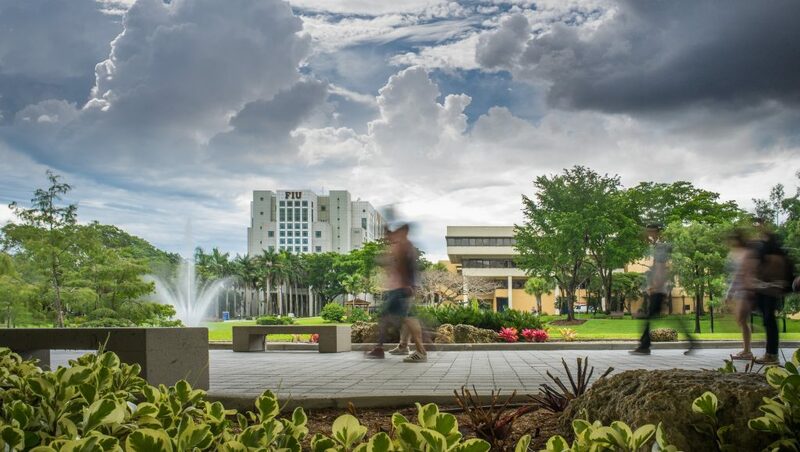 The campaign will also attract investments to reward Faculty Excellence in Teaching and fund Faculty Fellowships for special projects that advance their teaching, research, and leadership at FIU. Faculty travel and conference support will broaden our faculty’s exposure. With support from the Andrew W. Mellon Foundation, FIU is reimagining education in the humanities to optimize student learning. A $675,000 grant from the foundation will establish Project THINC, which will engage faculty in overhauling humanities classrooms and curricula, embed peer assistants in writing-intensive humanities courses, offer grants for course redesign and assessment, develop co-authored manuscripts on humanities teaching and its outcomes, and support digital humanities projects.